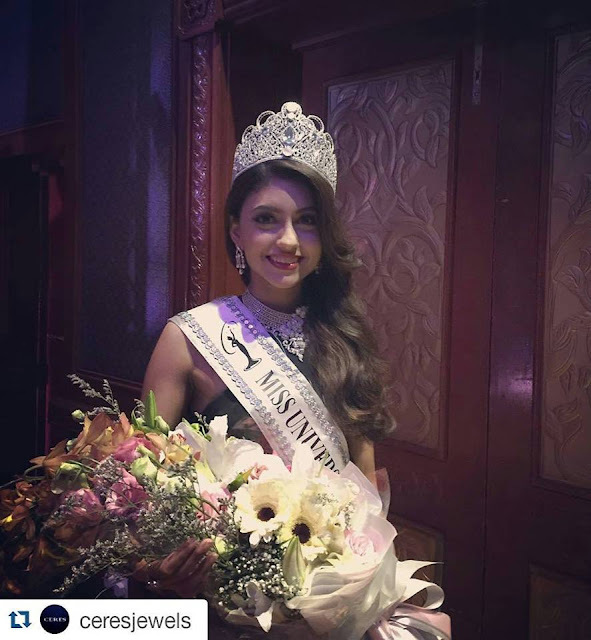 20-year-old dentistry student, Kiran Jassal won the Miss Universe Malaysia title and she is excited to represent Malaysia at the global event next year. Former winner Vanessa Tevi Kumares crowned Kiran and presented her the sash during the finale held at the Palace of the Golden Horses on Saturday night. Kiran, a straight-A student who aspires to open her own orthodontics practice one day thanked everyone on her victory on Facebook. “A wee bit delayed.. But I honestly was so lost for words, the joy and happiness I felt and still am feeling, is inexplicable. I am really thankful to everyone who supported me on this journey and believed in me and my capabilities, especially my family and friends who were always motivating me in some way or another. “To all my lovely fans out there, I am deeply humbled by the overwhelming response and thank you for having the confidence in me, as well as trusting me with representing our country, Malaysia at Miss Universe later this year. Apart from winning the Miss Winning Smile subsidiary title, she also took home RM 50,000 in cash and gifts worth over RM200,000. 25-year-old Dhivya Dhyana came in first-runner up, Lina Soong who is also 25, took second and 18-year-old Swarna Naidu was placed third runner-up. well done la u all..